Aroy mak mak. 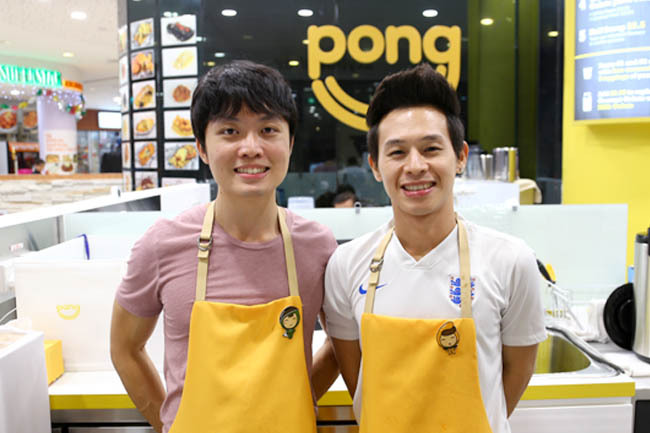 In Thai, ‘Pong’ is often echoed with a “thumbs-up” gesture. You may have seen coconut ice cream in a husk while crazily shopping at Chatuchak, the saviour in the uncompromising hot weather. Not need to go so far to try laew แล้ว. You can have it right at *Scape (neighbours with Juicy Slush). The local Pong revamped this product by introducing a Sorbet flavour (mango, passionfruit or banana) to go with their Coconut Gelato. 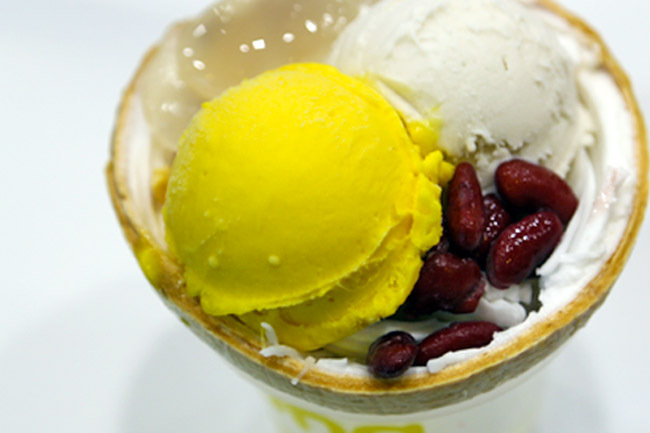 Opened by a brother-in-laws team whom one of them is Thai, the Coconut Gelato with Sorbet in a Husk ($5.50) would come with 3 toppings of your choice and a complimentary cup of coconut juice. Can eat, can drink. I loved their Coconut Gelato, smooth and thick, dairy-free, sweet but not cloying. Fresh fruits are used in the sorbet flavours, made fresh daily on site. Their sorbet interesting didn’t have the ‘sorbety’ texture, and was instead tasted almost like smooth gelato. As I dug further, there were thick juicy slices of coconut meat (superfood alert) to savour. This could be followed by sips of fresh young coconut water in the cup. Perfect for a 32 degree weather in Singapore. Talking about coconut flesh, watch the owners with bulging biceps and veins dig them out. 55555. If you like something easier on the go, try their Yakult Coconut Gelato Juice Float ($4.40) which is pure coconut juice with yakult at the bottom topped with Pong’s signature Coconut Gelato. 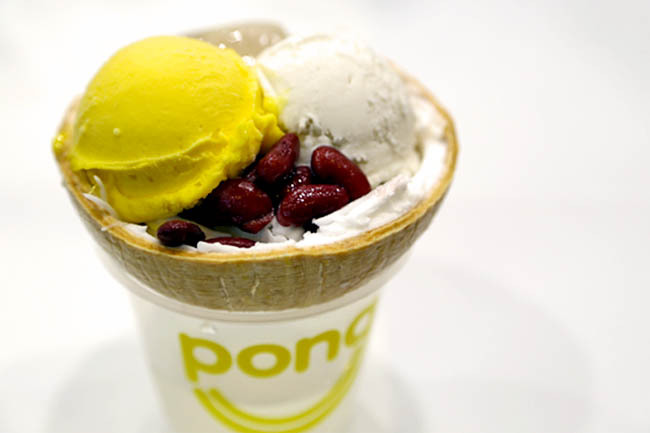 This looks to be a great new addition to the ice cream in Singapore! I love Thai ice cream! It would be good to have some dondurma in SG too (Turkish ice cream).